Gary recently retired from Procter & Gamble after 38 years as a Project Engineer. He currently serves as the Chairman for the Zoning Hearing Board for Washington Township. Gary also serves as an Eucharistic Minister at the Nativity BVM in Tunkhannock. He is married to his wife Ruth of 45 years and together they have 2 daughters, Kristin and Sara and 2 grandchildren, Elliott and Sierra. In his spare time, Gary enjoys cross country skiing, restoration of steamer trunks, fishing, researching the Battle of Gettysburg and Pickett’s Charge Diorama. Bill was born in the town of Nicholson in Wyoming County. At a young age, his family moved to Tunkhannock where he currently resides in the house that he helped construct. Bill graduated from the Johnson School of Technology, now known as Johnson College, with a degree in Machine Tool Technology. After graduating, he worked in the Tool and Die department at Chamberlain Army Ammunition Plant and Consolidated Rail Corporation (Conrail) as a Locomotive Maintenance Manager. Bill also attended the University of Scranton and Luzerne County Community College while working as a Manufacturing Engineer for General Dynamics Land Systems and later Dorr - Oliver Company. After 20 years as the Customer Solutions Director for the P.A. Hutchison Company, the 15th largest volume book manufacturing company in North America, Bill retired in 2015. Bill was also voted as a Senior Member of the Society of Manufacturing Engineers in 1995. Since retirement, Bill volunteers heavily in our local community. 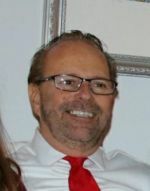 Currently he serves as a board member of the friends of Howland Preserve, is an active member of the Wyoming County Chamber of Commerce, member of a local fitness gym, and also volunteers at our local soup kitchen. In his spare time, Bill likes to kayak and spend time with his wife of over 50 years and their 3 children and 6 grandchildren. Greg is a retired lineman from Penelec after 39 years of service. 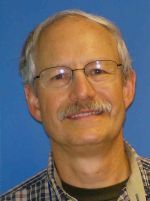 Over the course of his career with Penelec, he received several promotions retiring as a Distribution Specialist Supervisor. He currently resides in Lake Carey with his wife Debbie of 37 years and together, they have a son Jordan. Dr. Ziomek, a resident of Eaton Township, was born and raised in Plymouth, PA. A graduate of St. Vincent’s High School, she earned a B.S. in Chemistry from Wilkes College in Wilkes-Barre. She earned her Ph.D. in Biology from The Johns Hopkins University in Baltimore, MD and spent two summers doing embryological research at the Woods Hole Marine Biological Labs in Woods Hole, MA. Dr. Ziomek then did her post-graduate research in embryology in the Dept of Anatomy at Cambridge University in Cambridge, England. Upon her return to the US, Dr. Ziomek accepted a staff position at the Worcester Foundation for Experimental Biology, where for 8 years her laboratory pursued research in embryology and was recipient of several major competitive research grants from the National Institutes of Health. In 1990, she joined Genzyme Corporation’s transgenic animal program and in 1993 became a founding member of Genzyme spin-off, GTC Biotherapeutics and Vice President of Development. While at GTC, she was part of the team that achieved the first approval in the world of a human therapeutic protein produced in the milk of genetically engineered animals. After 20 years at GTC, Dr. Ziomek took early retirement and moved back to PA, where she was a part-time project-specific technical & regulatory consultant to rEVO Biologics, Inc (formerly GTC Biotherapeutics) until the end of 2014. 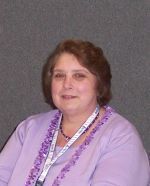 She is Secretary for the Tunkhannock Rotary Club and a Rotary District 7410 Foundation Committee member. She enjoys traveling, attending plays and concerts, appreciates gemstones and jewelry, is an accredited jewelry professional (AJP) and has completed the Colored Stones Course from the Gemological Institute of America. Dr. Glicini is a general surgeon in Tunkhannock, PA currently practicing at Tyler Memorial Hospital. He specializes in breasts and colorectal surgery including endoscopy but can perform the full breadth of general surgical procedures. He also runs the wound care clinic at Tyler Memorial Hospital. Prior to Tyler, Dr. Glicini worked at Geisinger Wyoming Valley Medical Center for almost 19 years. He is a fellow in the American College of Surgeons and a member of the American Society of Breast Surgeons. Dr. Glicini was born and raised in Northeast New Jersey and graduated from Dartmouth College with an A.B. in Engineering. He worked for ITT Avionics as a mechanical engineer for a year prior to entering Rutgers Medical School. He completed his 5 years general surgery residency at UMDNJ-University Hospital, spending much of his time at Hackensack Medical Center and Newark Beth Israel Medical Center. He moved to Dallas, PA in 1989 with his wife Paula and his four children. Previously, he spent much of his spare time coaching the sports teams that his children participated in. He also served as a scoutmaster of Boy Scout Troop 281 in Dallas for 7 years. In his spare time today, Dr. Glicini still volunteers with the Boy Scouts and enjoys landscaping and home improvement projects. Vera Walline, MPH, RMCHES is a public health education professional with 40 years of experience in areas as diverse as Scotland, Philadelphia, Israel, and Northeast Pennsylvania. A native of Dallas, PA, she was educated at Bryn Mawr College and Yale University School of Public Health. Returning to the region in 1990, she served as Education Director at Tyler Memorial Hospital and Executive Director of the NEPA Area Health Education Center. Since retiring in 2014, Ms. Walline teaches Public Health Education at Keystone College, serves on the Graduate Nursing Advisory Board of the University of Scranton, and is the representative of the Baha’i Community of NEPA on the Scranton Area Ministerium. Ms. Walline manages a multi-generational household in Lake Winola, with David, her husband of 43 years, daughter, son-in-law, and grandchildren. Mr. Piatt is a preeminent business lawyer in Northeastern Pennsylvania who has helped businesses of all sizes, succeed in all aspects of their business endeavors—from formation to mergers, acquisitions, leases and commercial agreements, legal compliance and more. With a practice emphasis in the Northern Tier, Mr. Piatt works from the Firm’s Tunkhannock office, as well as from its main Wilkes-Barre office, and is available to meet clients at either location by prior appointment. On a regular basis, he assists entrepreneurs in starting and organizing business organizations, including helping them choose the proper legal entity, drafting functional internal bylaws and rules, and preparing appropriate owner agreements to assure smooth management and means for dissolution or transfer of ownership. He also helps individual business owners resolve disputes with their co-owners or various entities in which they hold ownership. 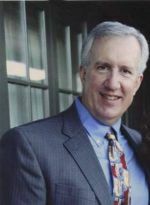 His clients include religious and civic nonprofit organizations which he helps create and amend bylaws, avoid conflicts of interest and other legal liabilities, obtain charitable status for Federal Income Tax purposes, and generally protect members, directors, and officers against personal liability. In addition, he regularly assists family businesses with their succession planning and individual and corporate borrowers in lending transactions, including the issuance of opinions as principal borrower’s counsel and as Pennsylvania counsel for transactions in other states. Mr. Piatt is a Past Chair of the Business Law Section of the Pennsylvania Bar Association, and is Past (founding) Co-Chair of the Pennsylvania Bar Association’s Shale Energy Law Committee. With the Business Law Section, he has been active in task forces charged with writing Pennsylvania Corporate Laws, providing standards for issuance of legal opinions, and proposing change to Pennsylvania Business Sales Tax Law. A Phi Beta Kappa graduate with highest honors of William and Mary, Mr. Piatt received his law degree from the University of Pennsylvania. Tyler grew up and currently lives in Susquehanna County. He has a B.S. in Accounting from Penn State University. He worked in Public Accounting for 7 years before switching his career towards Insurance. He now has 4 years' experience as an Insurance Agent and works at Hawk Insurance Agency in Tunkhannock which is family owned and operated. Tyler serves on two other boards as the Treasurer for the Wyoming County Chamber of Commerce and The Wyoming County Young Republicans. Donna is a lifetime resident of Lake Carey in Wyoming County. Her formal education was in Commerce and Finance from Keystone Junior College and Wilkes College. Donna has been a real estate broker for over 32 years with several residential franchises and a commercial brokerage. 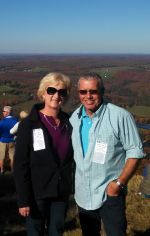 She is also a certified Pennsylvania real estate appraiser since 1995. 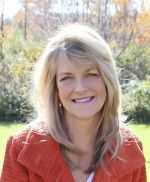 For 40 years Donna has an immense interest and is passionate about holistic and alternative health and her passion has lead her to write a book about the science behind the body’s ability to heal and she is also certified by the Institute of Integrative Nutrition as an Integrative Health Consultant. She offers classes and workshops on health transformation and organized an annual free Natural Health Clinic, educational forum locally in 2014 and more than 1000 attendees come out each year to learn about natural and alternative approaches, practitioners, products and services offered in the region. Barb moved to Tunkhannock in July of 2014 with her husband who was appointed as pastor to the Tunkhannock United Methodist Church. She is a registered nurse and has worked as a mental health nurse for 32 years. She received her BSN from Albright College, an MSN from Wilkes University, and her PhD in Nursing from the University of Wisconsin-Milwaukee. She currently is an associate professor at the University of Scranton and teaches Mental Health Nursing, Fundamentals of Nursing, Perspectives of Nursing, and Nursing Ethics. She also works one day a week as a therapist/clinical nurse specialist with Dr. Mark Saxon in West Wyoming. Barb serves on the Behavioral Health Initiative at the Commonwealth Medical College and is active in the Tunkhannock United Methodist Church. She and her husband have 3 adult children who live in other areas of PA. She and her husband enjoy kayaking, hiking, camping, traveling, and attending movies at the Dietrich Theatre in Tunkhannock. 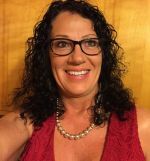 Tammy was born and raised in Susquehanna County and has been an active member in the community for many years. Tammy is currently employed as a Communication and Strategic Outreach partner for Williams, a natural gas pipeline company. Her job responsibilities include educating the public about the economic growth that natural gas brings and the safe way it is transported to other parts of the United States. She also plays a key part in helping Williams' employees find the right organizations to help and the importance of giving back to our community. Over the years, Tammy has heavily been involved in many different nonprofit organizations especially those that help the needs of children. She has volunteered as a CASA assistant (court appointed special advocate) for children and she has served on committees to help raise funds to start healthy eating programs in the local school districts. Currently, Tammy is the Advisory Committee Chair for the Susquehanna County United Way, serving as the past Campaign Chair in 2014 - 2015 and has been a member for over 11 years. For the past 10 years, she has served as a board member for the Montrose Area Chamber with the last 4 years serving as President. Today, membership has doubled in size and with her strong board members they continue to grow in size. She also has a chair on the Susquehanna County Recreation Center and is a regular board member within the Wyoming County Chamber of Commerce. One of her greatest achievements is knowing that she raised two wonderful sons who also believe that giving back to their communities is an important part of their life . Shealynn is a graduate of Elk Lake High School and Keystone College where she earned a Bachelor’s of Arts in Communications. 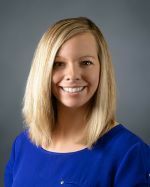 Shealynn joined the Wyoming County Community Health Foundation in June 2012 as the Foundation’s Assistant and just recently was promoted to Executive Director. She oversees all events and programs that the Foundation is involved in. In addition to working part time at the Wyoming County Community Health Foundation, Shealynn currently works part time for another local non profit. She and her husband Reed currently reside in Montrose. In her spare time, she enjoys trips to New York City as well as spending time with her family.